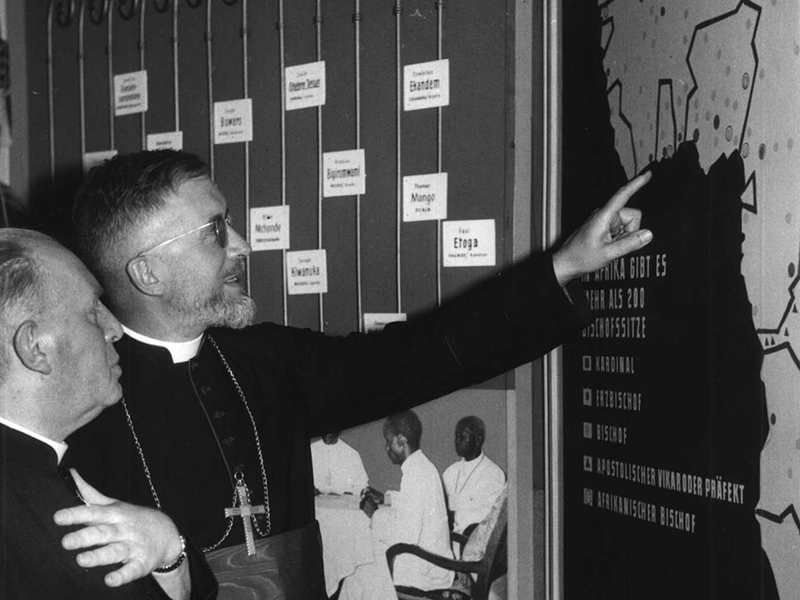 Furthermore in 1948, one year after his arrival in Dakar, Bishop Lefebvre was appointed by Pius XII to serve as Apostolic Delegate for French-speaking Africa (1948-1959), in other words, for the 13 territories including the protectorate of Morocco, French West Africa, French Equatorial Africa, Reunion Island and Djibouti. The delegate had to visit the 47 dioceses, vicariates and apostolic prefectures of his jurisdiction, create new vicariates, propose candidates for the episcopacy, and found episcopal conferences in each country. In doing so he followed with docility the instructions from the Holy See, even though it did not take him long to notice that episcopal conferences, when their functions are not strictly limited, destroy a bishop’s free exercise of his authority in his diocese. Moreover he did not hesitate personally to take restrictive measures against the liberal Catholic press, for example when the editor of L’Afrique nouvelle (The New Africa) began to advocate, without due restraint, independence in the French-speaking territories in Africa. 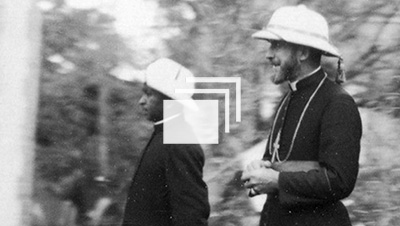 Finally Archbishop Lefebvre broke with the custom of entrusting each vicariate to a particular missionary congregation: Guinea to the Spiritans, Cote d’Ivoire to the African Missions of Lyons, etc. Thus he contributed to the establishment of true local Churches, which tomorrow would have a native hierarchy. After all, according to papal guidelines, that is the whole purpose of a mission. "You have governed with such prudence, wisdom, and industry the apostolic vicariate of Dakar, and you burn with such a zeal to spread the reign of Christ, … that We judge it well to choose you as head of this delegation, convinced as we are that your particular gifts, and most of all your proven efforts and the talents which make you fit for this responsibility, will be of great and beneficial service to this delegation."